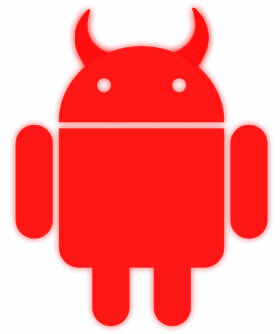 Please don’t tell me that Android is about to become susceptible to malware and other virus attacks. That means Android phones will become the Windows PC’s of the computer market, and the iPhone the Mac which is nearly 100% void of malware and virus attacks. A new threat, or malware, called Geinimi is attaching itself to Android apps when they are redistributed on third-party markets in China. According to MobileCrunch, Geinimi doesn’t do much but lurk, but its capabilities resemble that of a botnet server. The code has been identified as being able to send out your location, IMEI, app list, and to download apps. There could be more, and it likely has the ability to modify itself. Users outside of China are apparently at little risk, and at any rate your security is in your own hands.